Grate the beetroots with large holes of the grater.So that beetroot have their shape even after cooking. 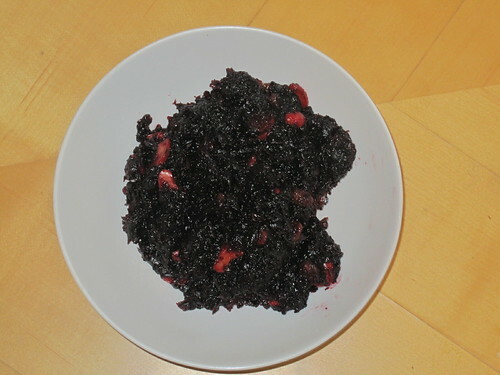 Heat ghee in cooker and add grated beetroot and sugar. Mix it well and cook it for 4 -5 whistles. 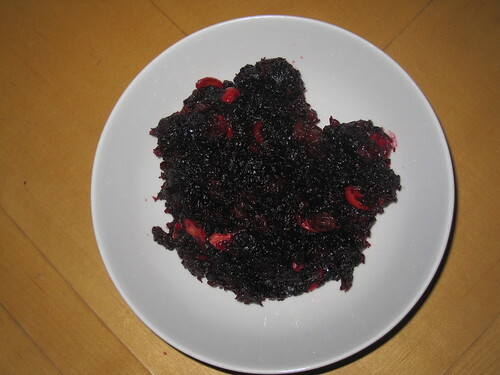 Stir the beetroot well and cook it in medium if the halwa looks semi liquid. In the meantime,check the sugar and add according to your taste. Fry the cashews, raisins and almonds in ghee or oil. After halwa reached its consistency, add the fried nuts to it. Now, delicious beetroot halwa is ready to serve. The Beetroot Halwa can be served as sweet in lunch or this South Indian Recipe can be served as evening snacks. Hi Ila, The halwa looks very perfect. So sweet to read that your mom makes it for your birthdays. My favorite too, I make it whenever I run out of any sweet at home:)Yours look fabulous. Looks yummy. And to think that this preparation is sugar free makes it even healthier.